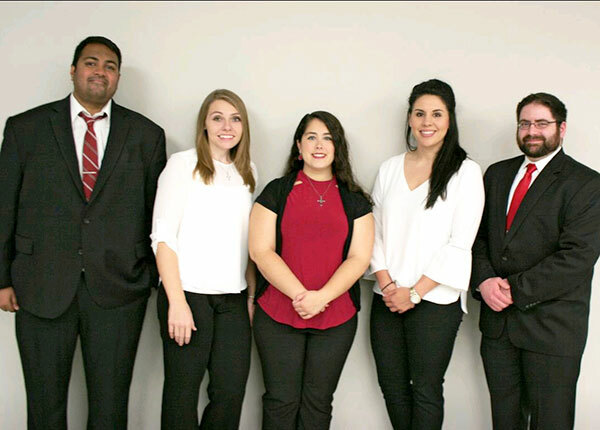 Neilesh Vora, left, Stephanie Kelley, Ashley Garrett, Natalie Lazo and Christopher Nowzaradan stand together on Dec. 2 after their team received first place in the 22nd UHV Bachelor of Business Administration Case Conference. This year’s competition required students to analyze and create a presentation about Kimberly-Clark Corp.
As the winning team prepared for the 22nd University of Houston-Victoria Bachelor of Business Administration Case Conference, it took full advantage of digital communication methods. Ashley Garrett and Stephanie Kelley, both of Katy; Natalie Lazo of Needville; Christopher Nowzaradan of Missouri City; and Neilesh Vora of Sugar Land kept in contact through the GroupMe messaging app as they researched and built their presentation in a Google Docs file. The UHV School of Business Administration held the conference Dec. 2 at UHV Katy. Every semester since 2007, students enrolled in “Strategic Management,” the capstone course of the BBA program, have attended the conference and competed as teams in the presentation of a company case analysis. This year’s competition featured 144 students on 32 teams. Kimberly-Clark Corp. is an American company that sells mainly paper-based products worldwide. Some of its most well-known brands include Kleenex, Scott, Huggies, Pull-Ups, Kotex, Poise and Depend. Its products are sold in more than 175 countries, and the company has been in business for more than 145 years. In 2016, the company saw $18.2 billion in sales. When Kelley and her teammates made their presentation to the judges, they felt confident that they did well, but they didn’t expect to receive the top award. Each member of the winning team will receive a plaque at a future business school event. 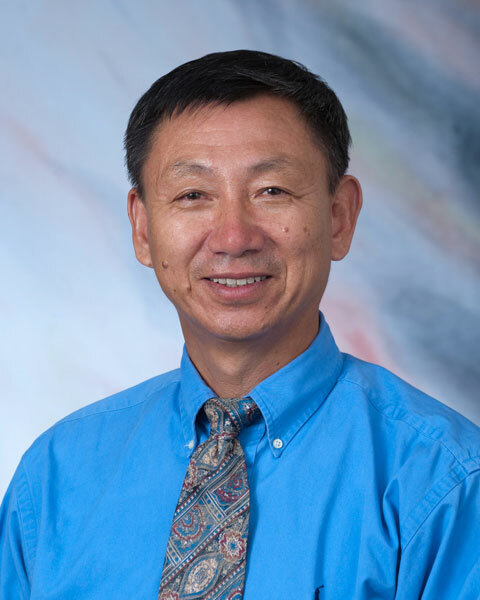 The names of the team members also will appear on a plaque in the UHV School of Business Administration office in Victoria. In addition, team members will be invited to serve as panelists at future case competitions.